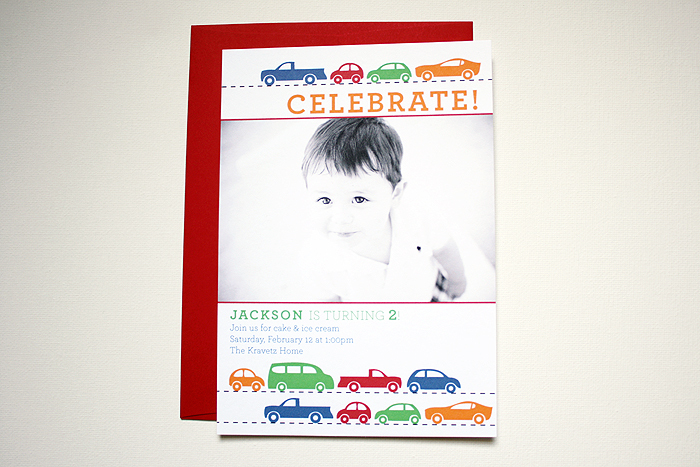 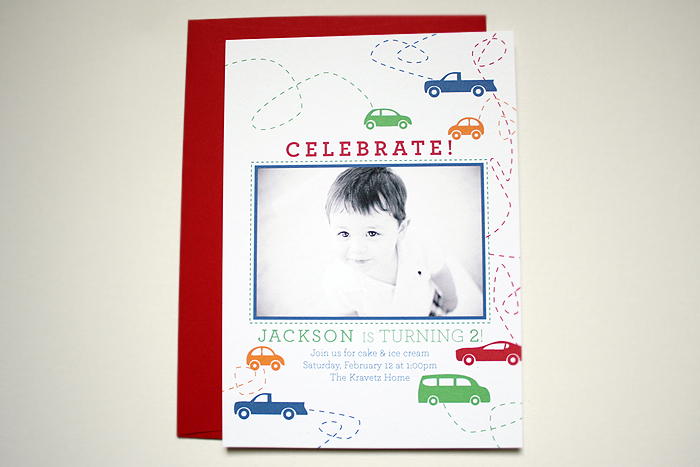 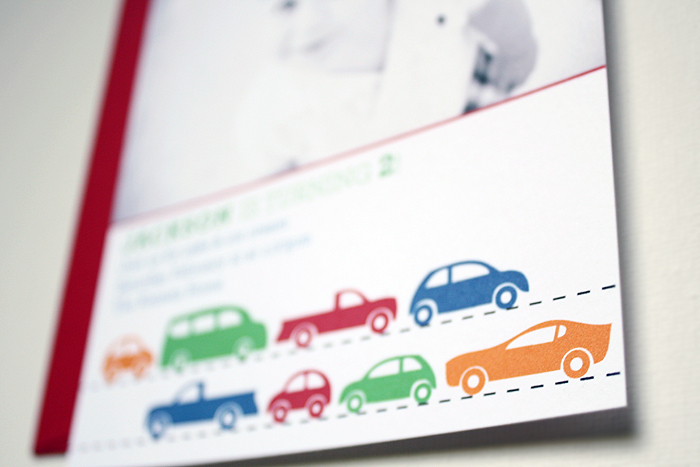 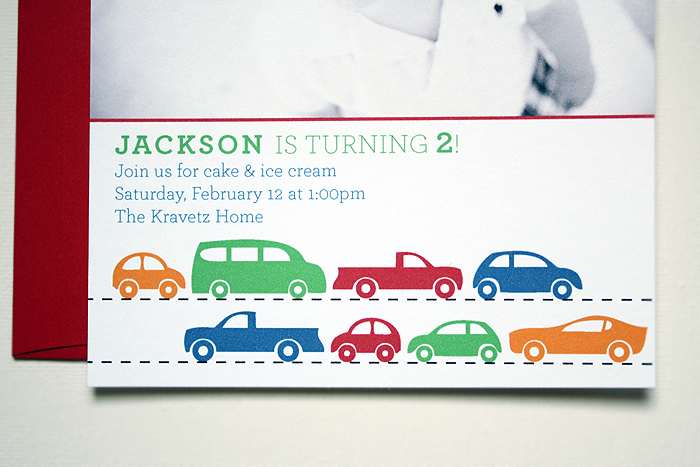 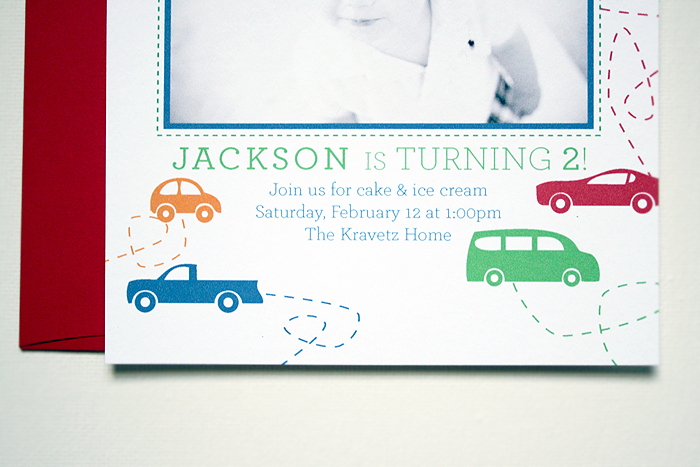 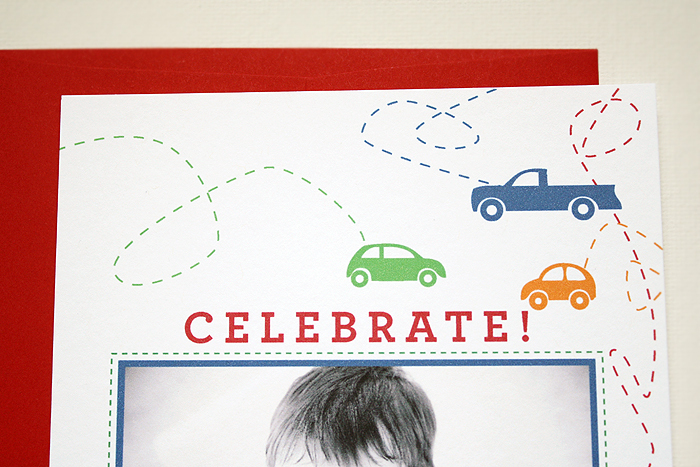 A delightful little party invitation perfect for the little boy who is obsessed with his cars and trucks. 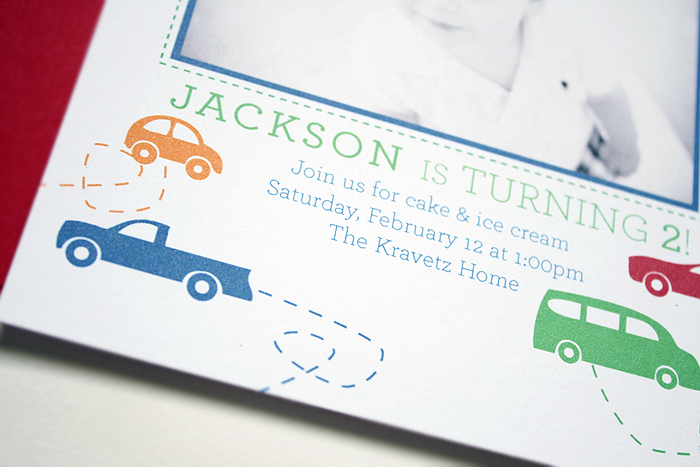 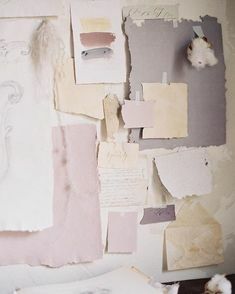 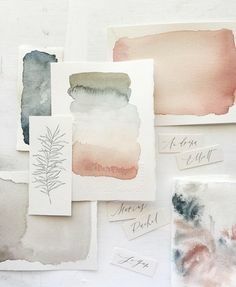 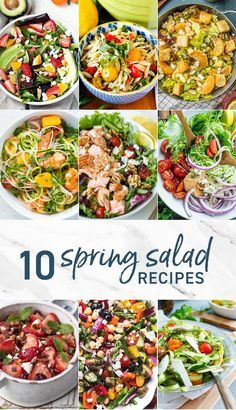 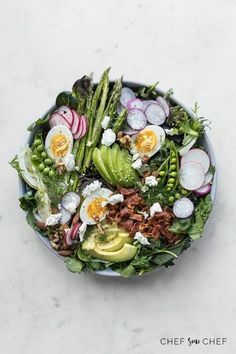 A modern and contemporary twist on a classic theme, with that sweet element of fun! 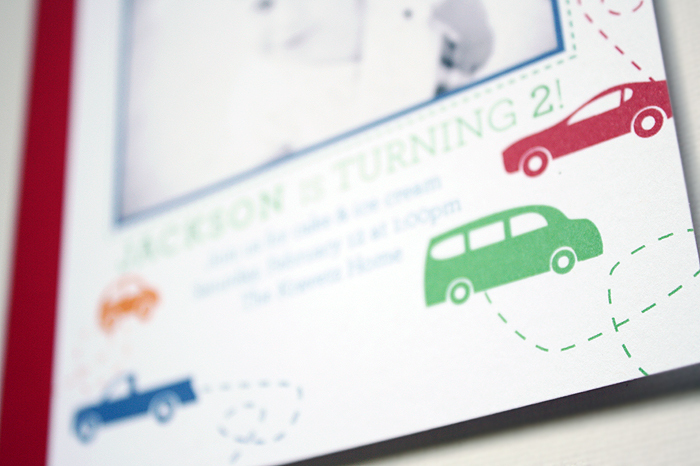 This little invitation is made complete with a photograph of the birthday boy!